We have been trading since 1997 and have 50 years accumulative experience, we offer a free, no obligation planning and design service to turn your ideas into reality. We can also offer products customised to fit in with your plans. 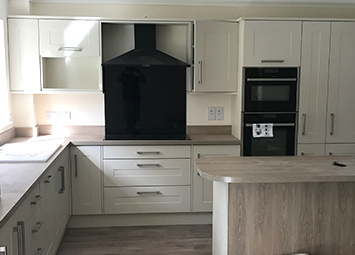 We are a small, local family business offering fitted kitchens in Norwich & Norfolk. We have 25 years experience specializing in kitchens, bedrooms & bathrooms. 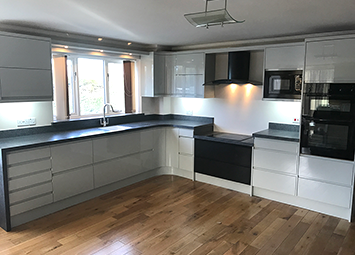 We offer a personal and professional service for all your kitchen fitting requirements, Being a small company, all kitchen fitting is carried out by ourselves, no commission sales people or sub contracted fitters. As a family run business we offer a personal approach to our kitchen fitting and cover the Norwich & Norfolk area. We also have a reliable team of high quality professionals to complete all required electrical & plumbing installations. We can also offer additional building work when your project requires this. Please don’t hesitate to submit an enquiry or if you’d prefer, call us for a chat.